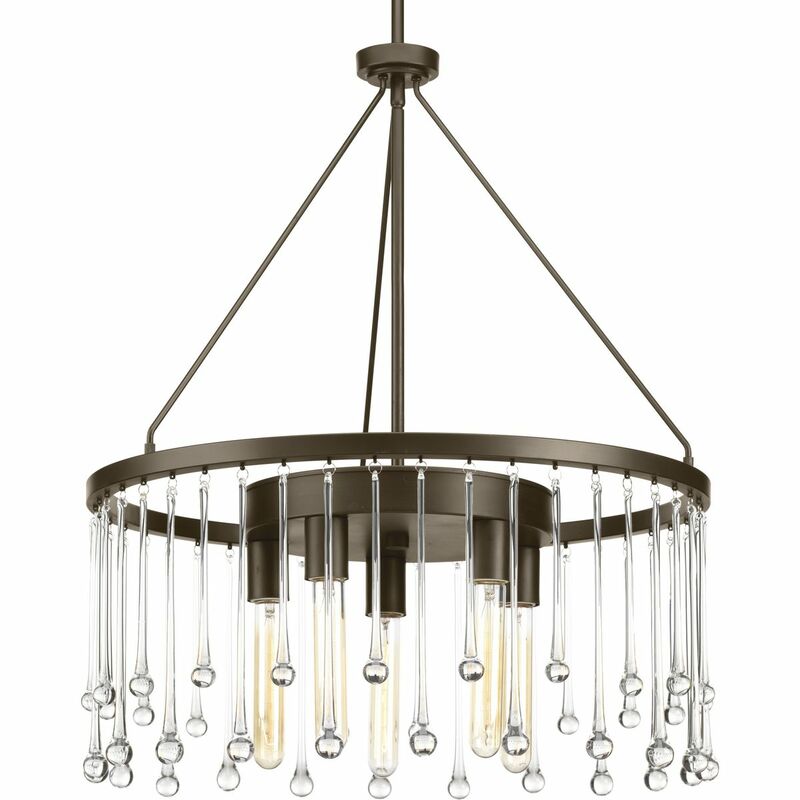 Alternating lengths of elongated clear glass teardrops are elegantly displayed across a circular Antique Bronze frame. 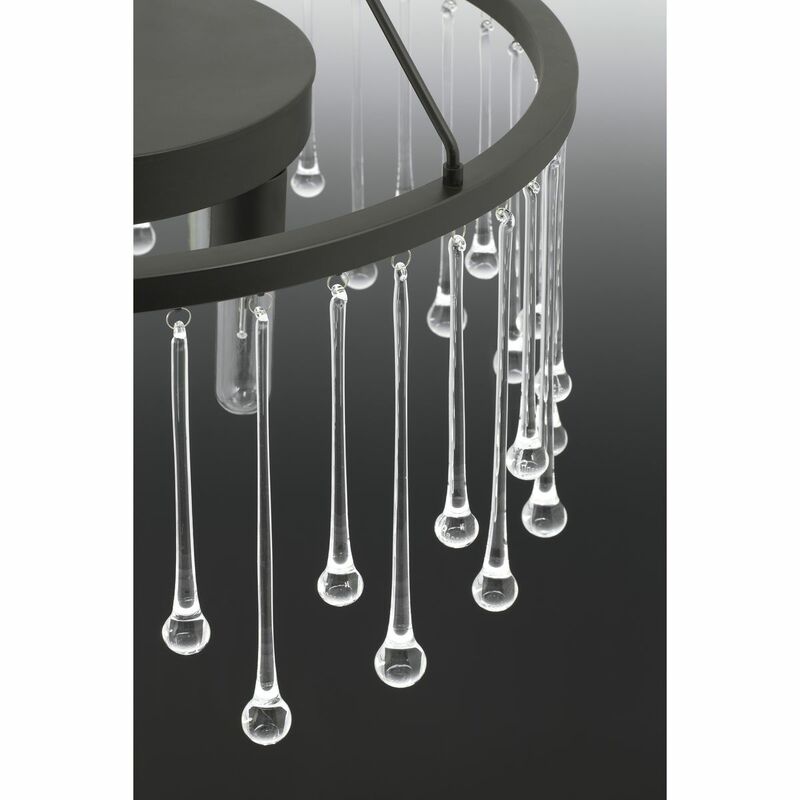 An artistic fixture, Sway's artisanal glass accents are handmade to feature unique variations. 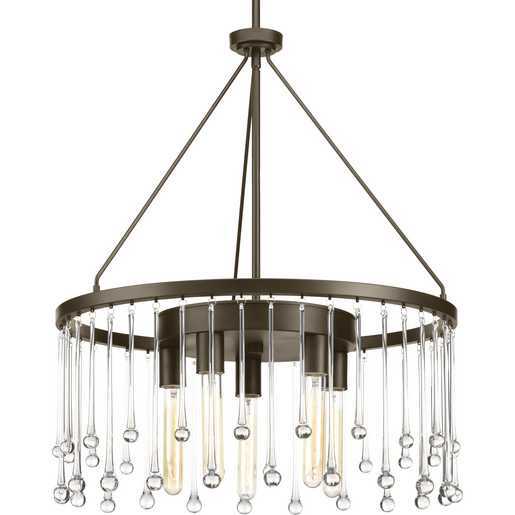 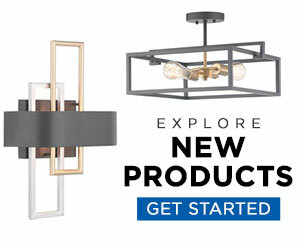 This five-light chandelier is part of our Design Series collections. 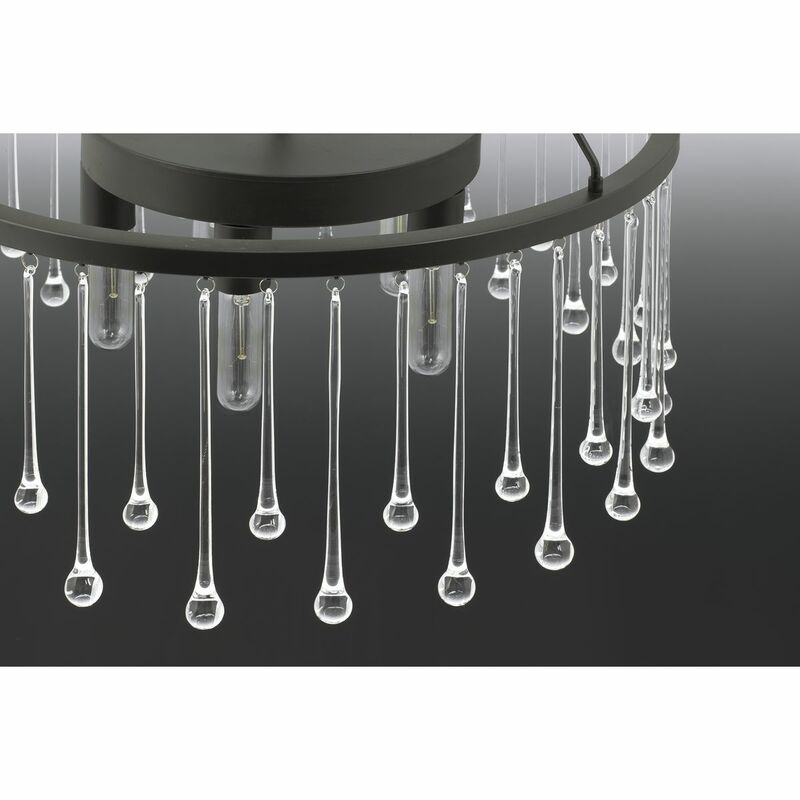 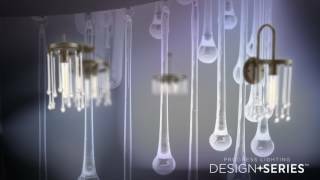 Alternating lengths of elongated clear glass teardrops.